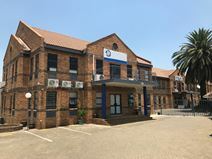 This business centre is well situated in central Midrand and features fully furnished offices. Other useful services include; spacious meeting rooms for collaboration purposes, 24-hour access, administrative support, IT support, conferencing, secure parking facilities. There is also a friendly reception desk on-site who are able to greet guests with a friendly face, as well as deal with administrative duties. The location is ideal for your business, surrounded by local amenities including but not limited to; eateries, bars and retail outlets. Moreover, public transport links are also numerous, with central bus lines running through the area very frequently. In the ultra-upmarket Waterfall City Development and ideally situated between Pretoria and Johannesburg, this prime office space is located close to both the N1 Bridge and The Mall of Africa for convenience, while on-site there are many high profile tenants, a central restaurant and a conference venue. With 24 hour access and security, allowing you to work through late hours, for however long you like, with peace of mind. Furthermore, just 10 minutes away, you can find Gallagher Convention Centre. This centre is well situated in central Midrand, and features a large range of professional services including; spacious meeting rooms, secure parking, high-speed internet, kitchen areas, 24-hour access and fully furnished office spaces. There is also extensive support available on-site including IT support, and a cleaning service that operates to ensure the daily upkeep of the work-spaces are maintained professionally. The Midrand train station is walking distance away and other local amenities surround the office-space including eateries and retail outlets. This area is fast becoming a commercial hub which is easily accessible to major highways. This centre marks a great opportunity to maintain relationships across the city.